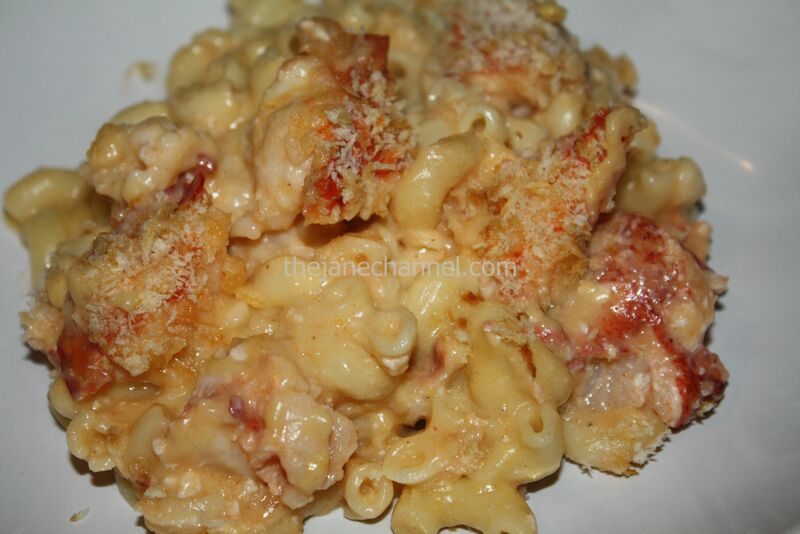 After a delicious meal at Capital Grille, Lobster Mac and Cheese has become one of our favorite dishes. Although it took the two of us more than 2 hours to prepare this meal, the result was outstanding! Add lobsters in a pot of boiling water; boil 4 minutes. Using tongs, transfer to cutting board. Cut off tail and claws. Crack tail and claws and remove meat. Cut meat into bite-size. Heat 1 tablespoon oil in a skillet over medium-high heat. Add garlics and lobster body to skillet and sauté 4 minutes. Set aside. In a bowl, whisk the flour with soymilk. In a saucepan, melt the butter and stir in flour mixture. Continue to stir and cook for several minutes until thickened and smooth. Remove from heat. Add all the cheese, salt, and cinnamon. 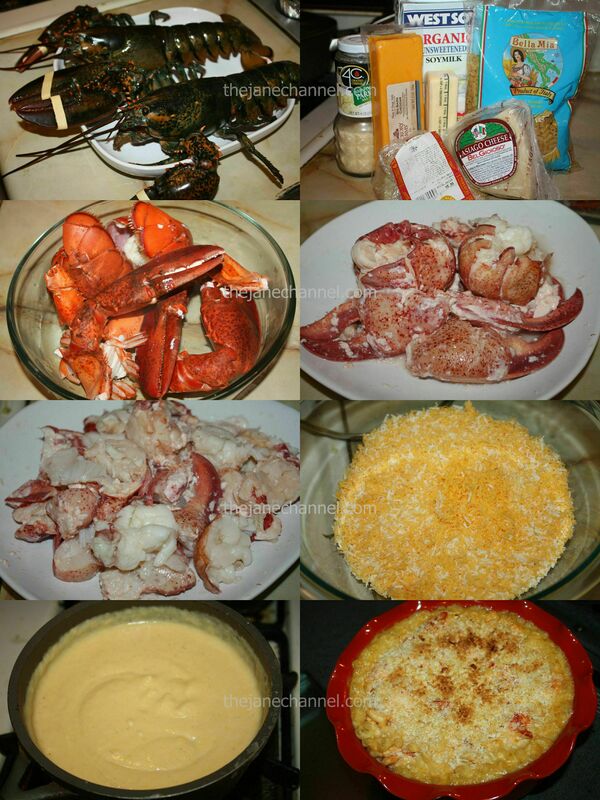 Add the cooked macaroni and lobster and stir well. Place the mixture in a casserole baking dish and cover with breadcrumbs. Bake in the oven at 375 degree for 10 minute and broil for 3 minutes until the top is golden brown. Damn. I so want some cheesey long har. 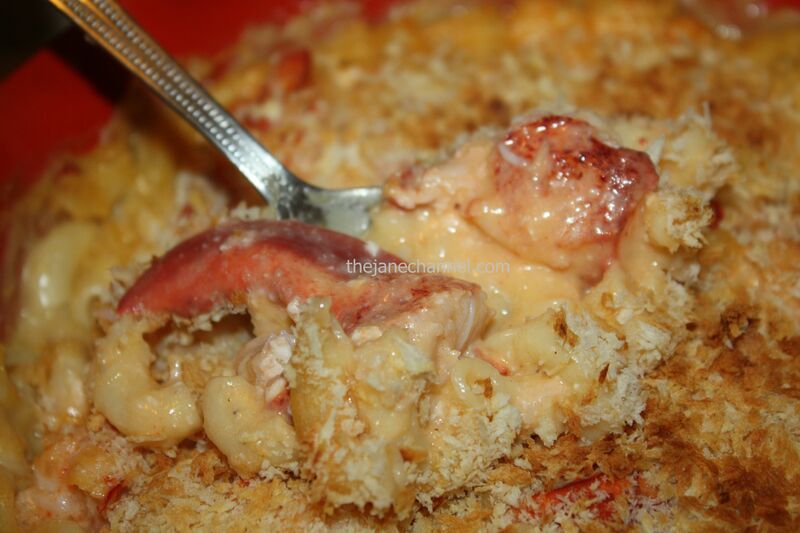 The lobster mac and cheese looks awesome. I need to try it at Capital Grille sometime. Fantastic! a great lobster dish! on other blogs? I have a blog based upon on the same information you discuss and would really like to have you share some stories/information.